Online payment platform PayPal is widely used to conduct monetary transactions between clients and service providers using the online freelance marketplace Saed signed up for. But PayPal, which operates in 202 countries including war-torn Yemen, doesn't offer its services to Palestinians in Gaza or the West Bank - while making them available to Israeli settlers living in the same territory and using the same currency. This prompted Palestinian entrepreneurs and businessmen to start a campaign in 2016 asking the company to roll out its services to Palestinians and reverse the "discriminatory situation", under the hashtag #PayPalForPalestine. Forty-three Palestinian tech companies and startups signed an open letter addressed to PayPal's CEO Daniel Schulman, which never received an official response. "Clients don't want to use [money transfer companies like] Western Union or MoneyGram, where they'd have to go physically to an office and pay in cash," said Saed, who now works in the freelance programme of startup accelerator Gaza Sky Geeks. "To have a platform people will trust, like PayPal is essential for the work of freelancers, startups or companies doing outsourcing," Habib told Al Jazeera, adding: "If you can't get paid, you can't do the work." Saed recounts that his attempt at signing up for the service by choosing "Israel" as his location ended with the company freezing his account for six months once he was asked to verify his residential address and "they realised that Gaza couldn't be part of Israel". Hussein Nasser Eddin, cofounder of RedCrow Intelligence, a risk-analysis startup based in Ramallah that has developed an application alerting subscribers of security incidents across the West Bank using open source information and maps, was one of the signatories of the #PayPalForPalestine campaign. Most Palestinian startups, including RedCrow, are registered as businesses in the US, in order to facilitate trade as well as attract investors with more ease. "The problem is not for the startup to survive," Nasser Eddin told Al Jazeera. "The problem is those who think outside the box in a place that is very much chained by geographical limitations. If they can't do it here, that's the problem. "Your technology is in the US, your money is in the US, when you exit [sell your share of the business] your tax goes to the US. In order to grow, you move outside this country. The issue is denying [Palestinians] from keeping the innovation of its own people." 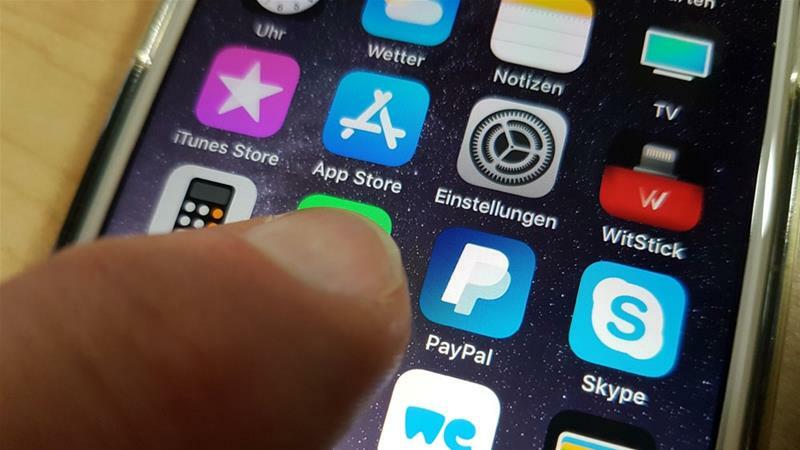 A spokesperson for PayPal told Al Jazeera that "while we do not have anything to announce in the immediate future, we continuously work to develop strategic partnerships". The spokesperson did not specify whether negotiations are ongoing to introduce the service to the Palestinian market. Last week, the company became once again the subject of a controversy after it closed the account of a Palestine solidarity organisation based in France over its alleged support for the Boycott, Divestment and Sanctions (BDS) movement. It's not the first time an internet giant finds itself embroiled in a political controversy in the Palestinian-Israeli context. Another campaign called Stolen Homes recently targeted the global accommodation website Airbnb for allowing listings of holiday homes located in Israeli settlements in the occupied West Bank without labelling them as such. Campaigners argued that as settlements are illegal under international law and Palestinians can only enter them with special permits - usually to work as labourers - the company has made itself directly complicit in human rights violations. A report on internet freedoms published in January by 7amleh, the Haifa-based Arab Centre for the Advancement of Social Media, points out that as these companies shape narratives and control knowledge dissemination in the digital world, they do not stay neutral and often serve to perpetuate existing inequalities. Google Maps, one of the most widely used mapping services worldwide, labels Israel but not Palestine on its maps. 138 countries around the world recognise Palestine as a state, not including the US and much of the EU. Petitioners asking Google to put Palestine on the map in March 2016 argued that "recognition of Palestine by Google may even turn out to be as important as recognition by organisations like the UN." While Ramallah, the current seat of the Palestinian government and the Palestinians' main financial and business hub, is only mapped in a rudimentary way, Google Maps can easily point visitors to the nearest bank in any West Bank settlement. Google's spokesman Paul Solomon told Al Jazeera the company is "working to provide a more comprehensive map for users". Some Palestinian villages in Area C, whose names did not appear on Google Maps until recently, were added last March. "Thanks to this update, we now have data for the overwhelming majority of the Palestinian residential areas in Area C. Also, in December, we published Street View imagery of the West Bank, namely Ramallah, Bethlehem and Jericho," Solomon said. While other mapping services offer better navigation in the West Bank, one effect of under-mapping Palestinian areas in the West Bank is that Google Maps is not made for Palestinians, who don't use the same roads. "As a user, if you use Google Maps around the West Bank the default is that you are a settler," Nadim Nashif, the director of 7amleh, told Al Jazeera. "For many Palestinians, Google Maps brings them to settler roads, even putting them in danger by taking them to the entrance of a settlement. It's an apartheid reality that you have streets for settlers only, and Google Maps functions to serve the Israelis and Israeli needs. Even when tourists activate them they have the same experience."